Calling all adventurous palettes!I have been to many restaurants around the world but none quite like my amazing experience at Gaggan. 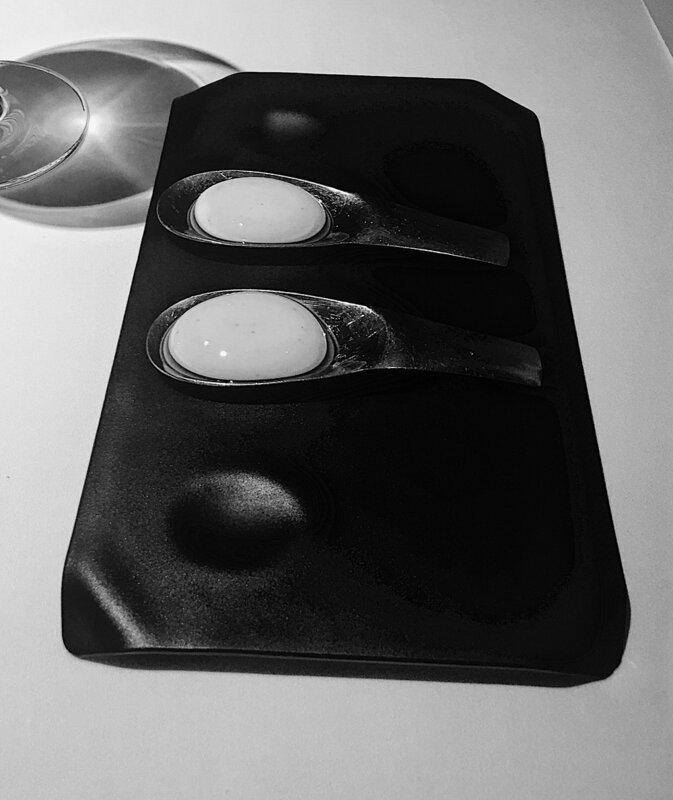 Not only was the restaurant recently awarded their second Michelin star but Chef Gaggan Anand is a pure genius and brings the word “dining” to a whole new level. The theme of the menu was “Emoji” and as you can see, quite the creative idea. There are no menu options just pictures of emojis that left you guessing what you were eating. There were 25 courses in all which is why they only have two seatings per night. Each dining experience takes at least 2 and half hours from start to finish. I tasted everything from a White Chocolate Chili Bomb to Goat Brains. Goat Brains!?! Crazy! Little did I know at the time I was eating them that they were in fact, Goat Brains. I guess the lesson I learned in this situation is never judge food until you taste it. I made sure to photograph those so you can see how deceptive the dish is.